Causes and Treatments of Migraine ~ Migraine headaches can cause a throbbing headache pain in one area of ​​the head that is usually accompanied by nausea, vomiting, and extreme sensitivity to light and sound. The pain was felt quite heavy for hours to days. Some migraine attacks are preceded or accompanied by sensory warning symptoms (aura), such as seeing flashes of light, blind spots or tingling in the hands or feet. 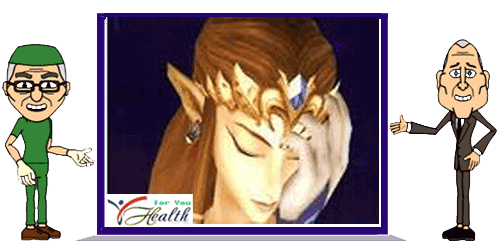 That picture of the symptoms of migraine headaches are certainly very painful. Now, no less important is to know what are the things that cause migraines so that later we can minimize the appearance of migraine and to make it easier to treat. In women, where fluctuations in estrogen can trigger migraine headaches. Women with a history of migraines often report headaches immediately before or during the menstrual period, when they had a significant decrease in estrogen. While others have a tendency emergence of migraine attacks during pregnancy or menopause. Many factors have been identified that can trigger a migraine. Migraine triggers or causes of these factors include emotional, physical, dietary, environmental and medicine. When the time did not eat low blood sugar, if after eating sweet or sugar in large quantities, the blood sugar will rise. Things like this (spike blood sugar) can also trigger migraines. When a migraine headache occurs most people will use a sedative sold freely as paracetamol, ibuprofen or aspirin. It certainly can help treat headaches but must memeperhatikan rules of use, indications, and kontarindikasinya, do not overdo menggubakan this drug. If the usual analgesic drugs such as the above are not able to deal with migraines, then the next option is triptan class of drugs. Some drugs, triptans, such as sumatriptan, available without a prescription. How it works is not the same migain medicine with analgesic drugs. Triptans cause blood vessels around the brain to contract (narrow), against dilation (widening) of blood vessels is believed to be a process that causes migraines. Ergotamine and caffeine combination with (Migergot, Cafergot), although less effective than triptans. Ergotamine seems to be most effective in those with headache migarinnya lasted for more than 48 hours. Because migraine is often accompanied by nausea, with or without vomiting, the nausea drug that is usually combined with other drugs can help. Drugs are often given that chlorpromazine, metoclopramide or prochlorperazine. Glucocorticoids can be used together with other drugs to enhance the effects of anti-pain. Because of the risk of steroid toxicity, then these drugs should not be used routinely (often). Opioid medications containing narcotics, particularly codeine, are sometimes used to treat migraine which is impervious to triptans or ergot. This drug is only used as a last resort. Beta-blockers (propranolol, metoprolol and timolol).